These gorgeous black patent sandals by Paul Smith are on my wish list! They are new and come in their original box. They are a size 36 / 3 UK. 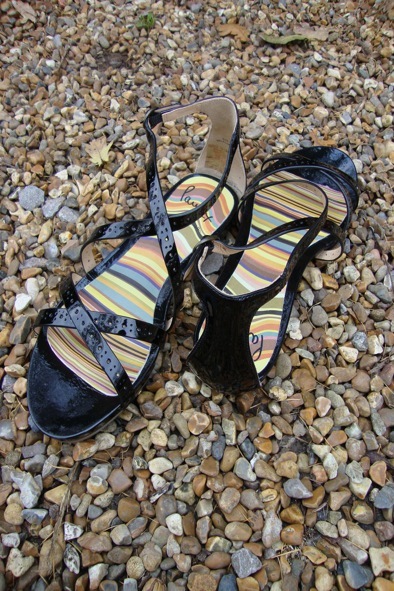 They have the signature Paul Smith swirly striped multi-coloured leather lining on the upper soles and flat, rubber soles with “Paul x” imprinted. They are style steal at £50!